Have you received a traffic ticket in the Guelph region? Or, have you received a traffic ticket in a different area, but you live in Guelph? - Either way, Ticket Defenders®* can help you defend the charges. Attending courts across Ontario, our traffic ticket Court Agents are dedicated to offering the best possible representation to our clients. We have already helped many people with their traffic ticket defence in Guelph, and we can help you. Our Guelph traffic ticket experts provide the first consultation at no charge - contact us to arrange for yours today. We promise you honest and straight forward advice. We would be happy to meet with you at any of our locations. 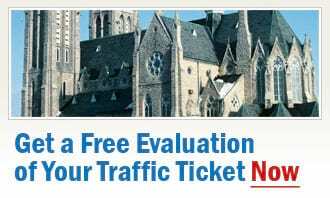 Request a free, no-obligation traffic ticket consultation now. Certainly, we would prefer to meet you in person. During your free consultation an experienced Court Agent will be happy to answer your questions about how you can fight your traffic tickets, avoid demerit points, explain you your options, and what exactly we can do for you. If attending in person does not work for you, we do welcome you to contact us by telephone. Everything can be completed via telephone and fax if that is what you prefer. Ticket Defenders®* not only has the outstanding reputation in the court system, but you simply will not find a more knowledgeable or experienced staff anywhere. Let our experts on traffic tickets in Guelph handle your Careless Driving, Stunt Driving, Speeding Tickets, Seatbelt, Red Light, and any other traffic violation charges, and rest assured that you have made the right decision: If there is anybody who can do it, it is Ticket Defenders®*.